How Much Does It Cost to Go Abroad During College? 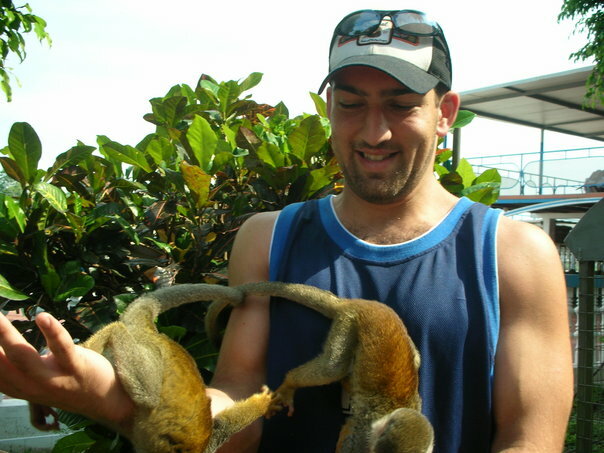 Playing with monkeys on the way to the Tiputini Biodiversity Station in Ecuador. Cultural exchange is amazing. It really is. I’ve lived abroad for stints in Ecuador, Spain and Israel, and have traveled to Colombia, Peru, England, Canada, Mexico, Jordan and Egypt. I personally feel that living and working abroad would be a great addition as a requirement for university students rather than a choice. But, like the cost of college itself, finances determine your options - you don’t want to be left with a boatload of debt that prevents you from ever traveling again. So, let’s take a dive into the cost of going abroad. How can I go abroad during college? Do a semester or summer overseas through your school’s international programs department. Take a gap year and participate in a longer-term program like being an au pair in Europe or taking a Working Holiday in a country like Australia, Canada or New Zealand. Volunteer abroad on a short-term program in a country like Tanzania, Costa Rica, Peru or Ecuador (I can’t recommend visiting Ecuador and Peru highly enough! ), or participate on an immersive language class program with a host family in places like Guatemala. Let’s look at each option to see how much it might cost. 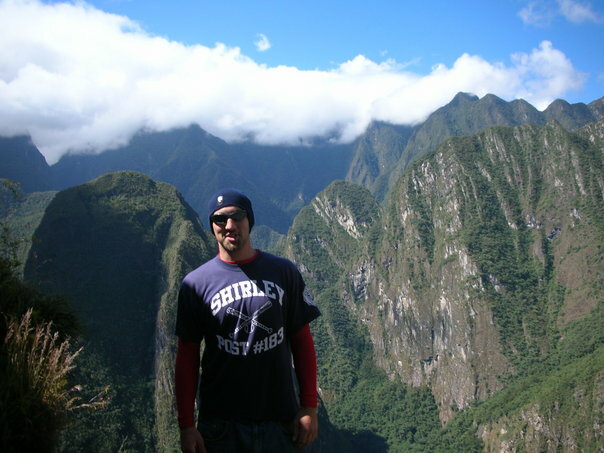 Will studying abroad cost me more than a semester at school? If you study abroad in Ecuador, for instance, the cost of living is much lower. When I was there in 2006, a delicious multi-course meal at a mom-and-pop restaurant could cost $3. That same meal in America (which I obviously could not afford as a college student), would have run about $30 or so. Drinks at a fun bar often cost $1. A stay in a nice hostel cost $8. In these cases, the cost of living is your best friend. The cost of my tuition, room and board wasn’t much different from a semester in Boston, where I went to school, but the cost of living afforded me untold opportunities. On the other hand, if you study in London, the math will likely run the other way. The number is always fluctuating, but a dollar is worth about 64 cents compared to the British pound. The cost of living in London is also very high. If you’re coming from New York City or San Francisco, you might not blush at the price of a pint, but if you’re coming from Oklahoma City or another area with a lower cost of living, money will suddenly be a lot tighter. Even if this math ends up saying that a semester abroad costs more than one at home, that’s not necessarily a bad thing. Not only is it a culturally enlightening experience, employers often prefer or require international experience. 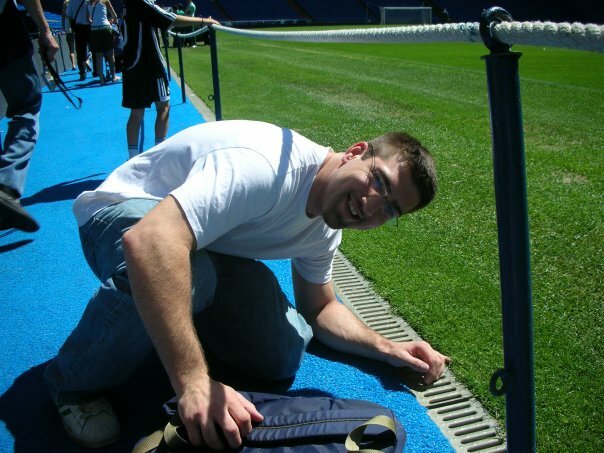 Touching the grass of the field of Santiago Bernabeu in Madrid, Spain, where Real Madrid plays. How much does a gap year abroad cost? This answer is going to delight you. A gap year abroad can actually make you money. If you choose to teach English abroad, you could end up returning to the U.S. after about a year with a couple thousand dollars in your pocket - and that’s after having an amazing time abroad and boosting your resume. After program and visa fees, flights and insurance, you’ll be earning money without having to cover the cost of housing (and no tuition!). Another great option is to be an au pair abroad. You won’t be getting rich, but you can come out even or in the black if you find the right program. Being an au pair in the Netherlands offers free housing, food, a stipend of at least 300 euros per month and has upfront costs of your flight (varies), visa (currently 614 euros but reimbursed after you successfully complete your program!) and just $40 for your program fee! If your program runs for 10 or 12 months, you might be able to bank a few hundred euros. Lastly, a Work & Travel program overseas offers you the chance to work as much or as little as you’d like, so you can either work regularly and save some money, or work just enough and spend most of your time on holiday. It’s up to you. How much does a short-term program abroad cost? The formula is the same for a long-term program, but without as much income. Short-term programs will likely end up costing you money, but how much depends on the program. Let’s take a look at some volunteer, au pair, and language immersion options. Costs: Around $1,100 (round-trip flight, fun, insurance and program fee) for two weeks. Benefits: Language classes, host family placement, two meals per day, textbooks, airport pickup and transportation, etc. Costs: Around $1,500 (round-trip flight, fun, insurance and program fee) for two weeks. Benefits: Volunteer project coordination, host family placement, two meals per day, airport pickup and transportation, orientation, optional Spanish classes, etc. Costs: Around $1,400 (round-trip flight, insurance and program fee) for three months. Salary: Weekly stipend of at least 85 euros (about $93), for a total of about $1,115, plus free room and board. To sum it all up, as someone who has lived abroad during and after college: JUST DO IT. You’ll never regret having this amazing experience, but you’ll certainly regret never having left the nest later in life.